An Australian startup has ambitions to smarten up the wearables industry with a fashion-fused piece of smart jewellery called Plumora. Talking to Australian startup publication Startup Smart, Plumora founder Aakanksha Chhikara spoke about her desire for a wearable device that would notify her about important smartphone updates but bemoaned the current state of non female focused devices on the market. “They looked like gadgets and weren’t really something that style-conscious women would want to wear in the workplace,” she said, before stating that wearable devices need to be design and feature focused. With Plumora, the wearer is getting a basic notification device - for the likes of texts, incoming calls, calendar reminders and so on - in a device that is designed to be worn "to the office, the board room, the park, yoga class or a special occasion." 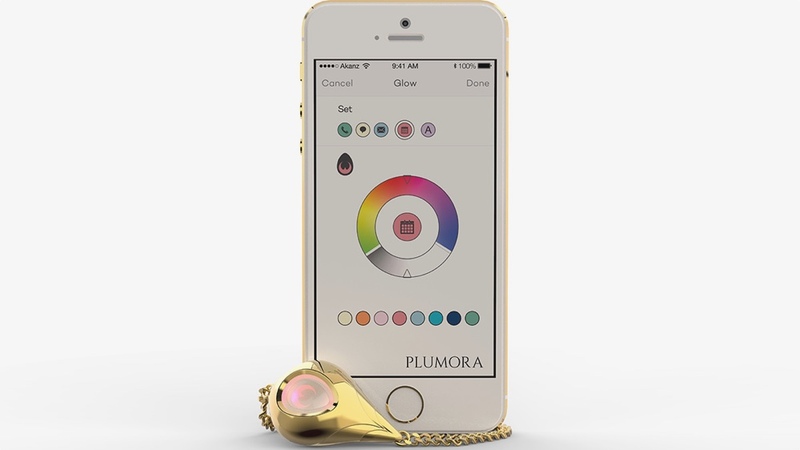 Plumora is intended to be worn like regular jewellery would be - with the notification alert system on hand to solve one of the smartphone's biggest problems; that it's often inaudible while tucked away in handbags and purses. With yellow and white gold options available, and the notification window's colour customisable, Plumora thinks it's solved the ugly wearable conundrum and is looking for funding on Indiegogo. We've seen some pretty high end wearable tech landing over the last couple of months, such as the Intel MICA and the luxury, security-based, bracelet from Senturion, and companies like Misfit and Netatmo have already clued-on to the fact that, with wearables, a unisex approach may not be the best one. So while Plumora is in no way the first company to tackle the design issues the wearable tech boom is experiencing in its formative years, its approach to a simple but stylish device is to be applauded. We'll be keeping a close eye on the campaign and you can keep up to date with our favourite wearable startups seeking funding in our regular weekly roundup.